I see my facilities manager friend. I wave and mime wiping sweat off my brow. 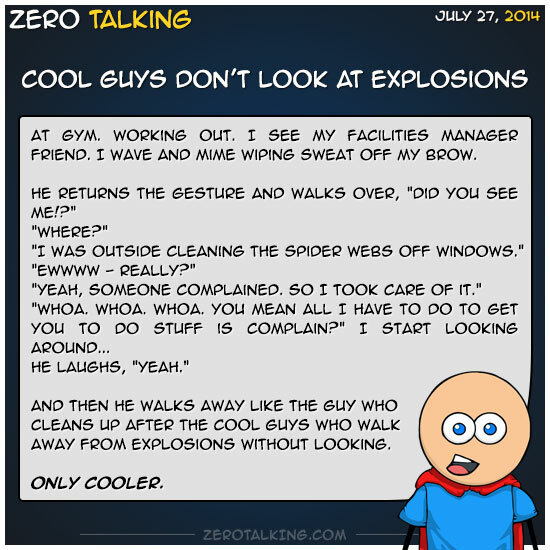 And then he walks away like the guy who cleans up after the cool guys who walk away from explosions without looking.